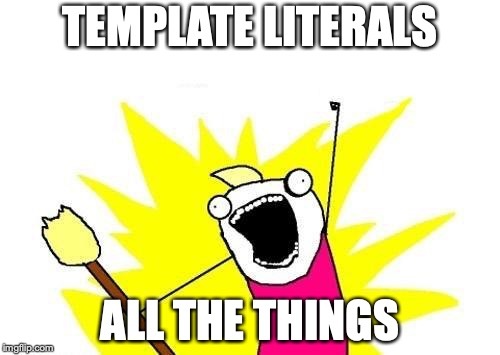 Of course it is an ugly hack to use template literals as full template language. It doesn’t prevent you from adding logic directly to the template, so it requires some discipline to keep the templates as clean as possible. This is something templating languages like Handlebars or Mustache enforce. With some tricks it is possible to have comments, conditional blocks and loops. If you believe in something, work nights and weekends, it won’t feel like work.